This year’s version is a stunner. The tree is a living Colorado Blue Spruce that’s there all year and people like to see it even in the summer. But this year’s may be the best I remember. I’ve only been to the official lighting once. It’s typically really cold or raining and sure enough it was blustery and frigid this year so I’m glad to have watched it on TV. But, my wife and I went the next night when it was a little warmer and much less crowded. It’s always fun to see the trains running underneath and this year my coin landed on the train as it passed. The White House tree isn’t the only stunner in town. The U.S. Capitol tree doesn’t require tickets for its lighting and you can park in the nearby parking lots after 5 p.m. on weekdays and on weekends (despite what the signs say. I’ve asked the Capitol police.) The tree in City Center (which I disagree as a name, but whatever) is pretty nice, too. So, wander around town at night. It’s beginning to look a lot like Christmas. 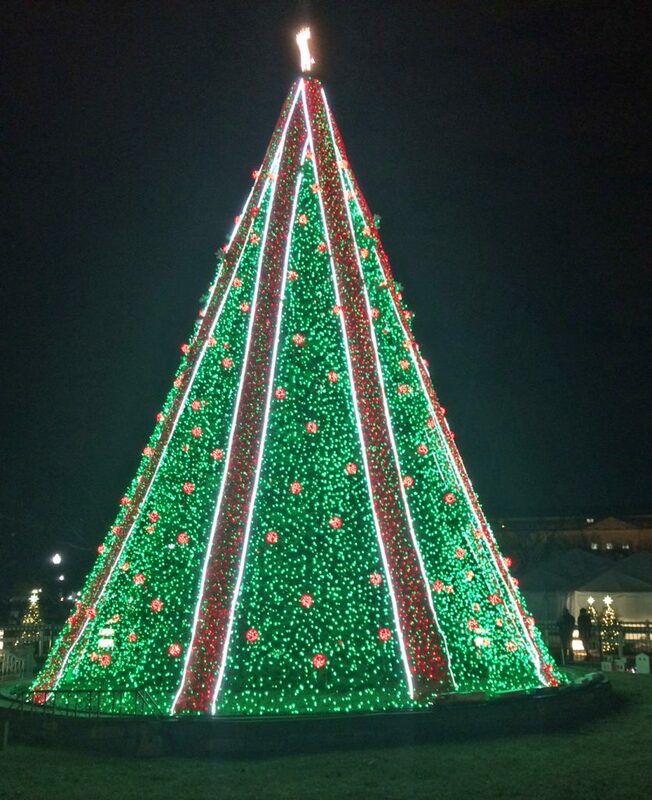 This entry was posted in Washington life and tagged Best Washington DC walking tours, National Christmas Tree, Photo by Rick Snider, White House tree. Bookmark the permalink.